ADDING an extra-special touch to service takes different forms at The Shoppes at Marina Bay Sands (MBS), ranging from helping visitors charge their cellphones for free to loaning out brollies on rainy days to making restaurant reservations. 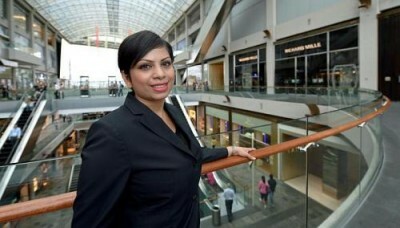 The mall's 33 guest service agents even conduct personalised shopping tours. "It's quite a big mall. Such requests are rare and it's a chance for us to go that extra mile for guests," said Ms Vany Ramakrishnan, 36, who oversees the concierge counters and trains the agents. Senior executives at the integrated resort came up with the service ideas with the help of her team members, while the motivation, she said, came from the training she received. She started at MBS as an executive and has attended three Workforce Skills Qualifications (WSQ) modules plus about 10 in-house courses. "I realised that many of the courses taught me to go the extra mile," said Ms Ramakrishnan, who trains 10 to 15 agents a month on a series of tasks, from phone etiquette to how to read a map. "I figured it would be good to put what I learnt into action." The training sessions - which taught her how to handle disruptive trainees, among other skills - have also helped her bag three promotions and a 40 per cent pay rise since she joined the firm in January 2010. Last month, she completed an Advanced Certificate in Training and Assessment under the WSQ framework. This makes Ms Ramakrishnan, a business and marketing graduate from the University of Portsmouth in Britain, a certified trainer, able to teach WSQ modules to colleagues who can go on to receive statements of attainment. MBS has 30 such trainers. "It's fun for me to pass on my experience to my colleagues. I also feel like I'm contributing to the company and giving back what I learnt," she said.